Arezzo, with its Etruscan origins, passed through the Roman period and then the Middle Ages acquiring a splendour that was unmatched in later centuries, so that ”… in the 13th century it was bustling with life, carousels, tournaments..”, which we can see in the historical re-enactment of the Giostra del Saracino, an old chivalrous game invented in the Middle Ages. Trade was lively and vigorous, giving impetus to the artists of the period commissioned to design palaces and churches and to fresco houses and basilicas. The names of great universally known personages from Arezzo are easy to list: Francesco Petrarca, Piero della Francesca, Giorgio Vasari, Pietro Aretino and Guido Monaco. Their knowledge would be sufficient to fill the halls of culture of any country. Other great artists such as Cimabue or Beato Angelico, Rossellino, Della Robbia or Marcillat, worked here and left important works of art to the city. The artistic drive behind the Middle Ages, which was creative and at the same time disciplined, make Arezzo a liveable city where the streets all converge upward so that the eyes are always drawn up towards the sky; where irregularities predominate creating an extraordinary effect of harmony. A harmony which in Piazza Grande finds the centre of civic life. Here the ties with the past leave indelible marks on every stone of its palaces, in every merlon of its tower houses, in every capital of its churches. So walking through the old centre of Arezzo is like a journey in a time machine. Turning the corner of a narrow lane, the light falls obliquely, sometimes dazzling. In those streets paved with grey stones you suddenly rediscover the fatigue of walking uphill or the relief of walking downhill. Only experience can tell you when to slow down and when it is better to stop and look around. Arezzo has always occupied a strategic position in the main lines of communication. In fact it takes less than an hour to get here from Florence, Perugia and Siena. 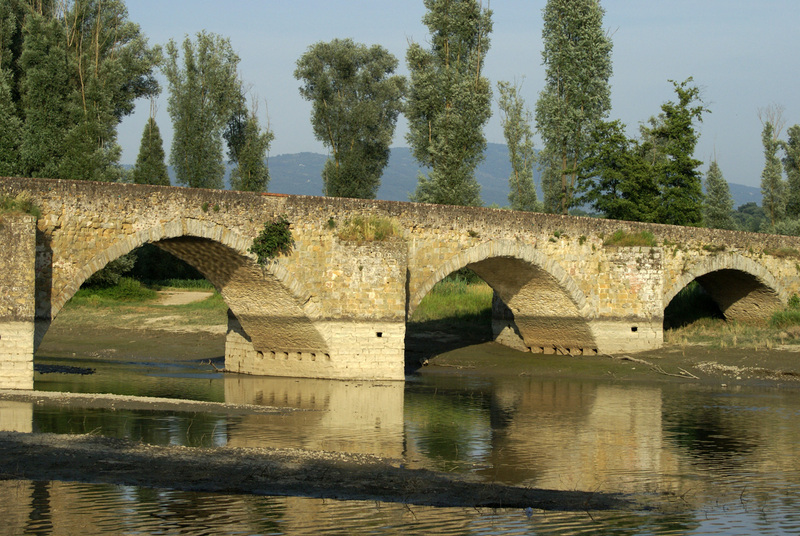 In addition to these prestigious cultural hubs, which certainly need no introduction, Arezzo is surrounded by small and large villages which keep ancient treasures, from the Etruscan necropolises to the Roman settlements, the masterpieces of the Renaissance and those of the Risorgimento. 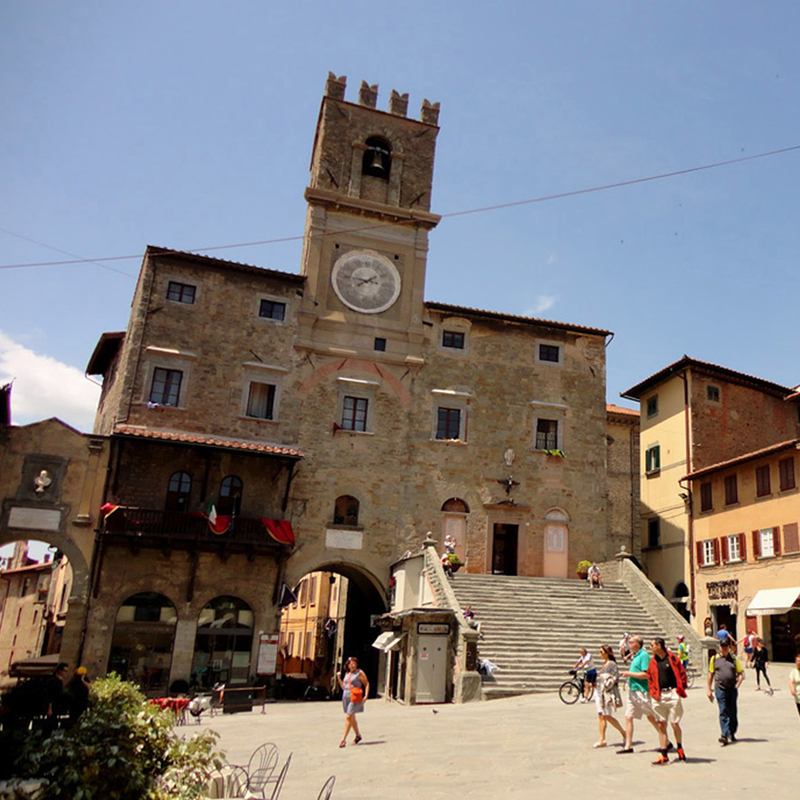 Cortona, Montepulciano, Pienza and Montalcino are definitely all worth visiting. Chestnuts of Monte Amiata PGI, Flour of Neccio della Garfagnana PDO, Mugello Chestnuts PGI, Chianti Classico Extra virgin Olive Oil PDO, Panforte e Ricciarelli almond pastries PGI, Tuscan Pecorino Cheese PDO, Tuscan Ham PDO, Italian Cacciatora salamis PDO, White Veal of the Central Apennines PGI, Saffron of San Gimignano PDO. 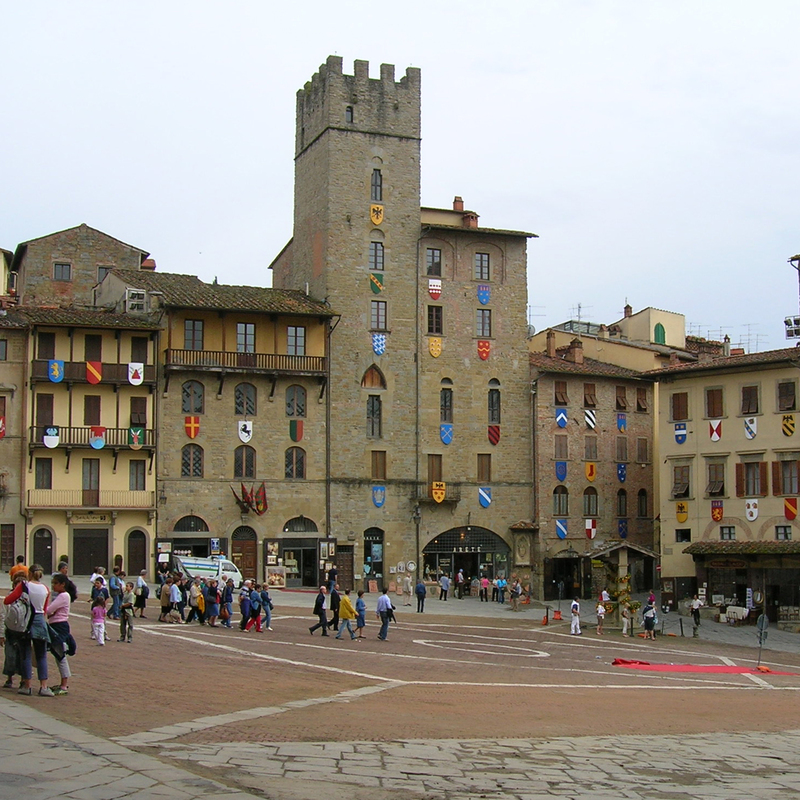 Arezzo is also synonymous with fashion and style, with flourishing manufacturing and goldsmith industries. Labels such as Prada, miu miu, Tacs, Roberto Cavalli, Gucci and unoAerre are just a few examples of the contribution of Arezzo and its surrounding areas to the world of fashion. 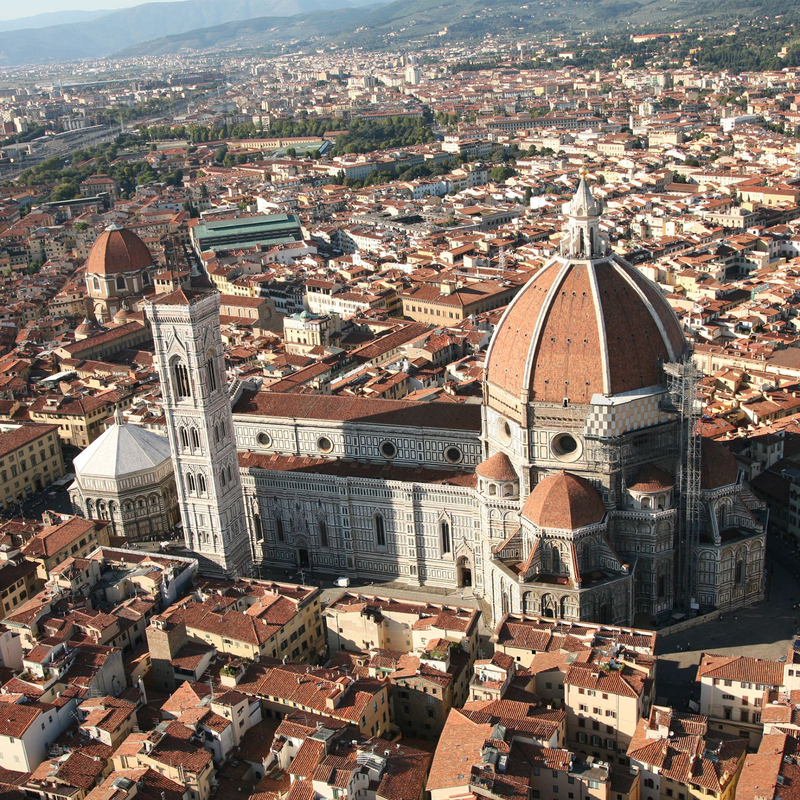 The city of Florence is the capital of Tuscany, with a population of 1,012,180 and it is the eighth largest Italian municipality for population and the first in the Tuscany region. In the Middle Ages it was an important cultural, commercial, economic and financial centre. In modern times it was the capital of the Grand Duchy of Tuscany, from 1569 to 1859, under the rule of the Medici and Lorena families. It was the capital of Italy from 1865 to 1871, after Italian unification (1861). As an important university centre and UNESCO world heritage site, it is considered the birthplace of the Renaissance and universally acknowledged as the cradle of art and architecture in addition to being famous as one of the most beautiful cities in the world thanks to its numerous historic buildings and museums, such as the Cathedral, Santa Croce, the Uffizi Gallery, Ponte Vecchio, Piazza della Signoria and Palazzo Pitti. From its 600m altitude position Cortona overlooks the entire Valdichiana and with a view extending to the peaks of Mount Amiata on the horizon. The medieval appearance of the buildings and lanes give the city an enveloping atmosphere. The Basilica of Santa Margherita and Santuario Francescano delle Celle invite the tourist to discover Cortona from above, offering an itinerary of art and faith just a stone’s throw away from the old city centre. Instead, walking along Ruga Piana, the present day via Nazionale which is the only level street in the city, you come to piazza della Repubblica, overlooked by the medieval Town Hall, Palazzo Casali, once the residence of the aristocratic family of Cortona and now home of the Museum of the Etruscan Academy of the City of Cortona. The rooms contain an interesting collection of Etruscan and Roman archaeological finds. Located at the extreme north of the city opposite the Cathedral is the Diocesan Museum, a small treasure chest of works by great local artists such as Luca Signorelli and one of the most beautiful of the Annunciations by Beato Angelico. Situated outside the city at the foot of the hill are the Etruscan mound tombs of the 6th century B.C. (known as Meloni I and Meloni II del Sodo). In the direction of Foiano della Chiana you come to the Abbey of Santa Maria at Farneta which, with its crypt, is one of the oldest expressions of Romanesque architecture of Arezzo. An event not to miss is Cortonantiquaria, one of the most interesting national antique market exhibitions. The event takes place every year in the eighteenth century rooms of Palazzo Vagnotti, from the last Saturday of August to the second Sunday of September. The city of Siena is universally known for its immense historical, artistic and landscape heritage and for the substantial stylistic unity of the medieval urban features, not to mention the famous Palio, a competition involving the city’s districts in the form of a horse race of medieval origin. 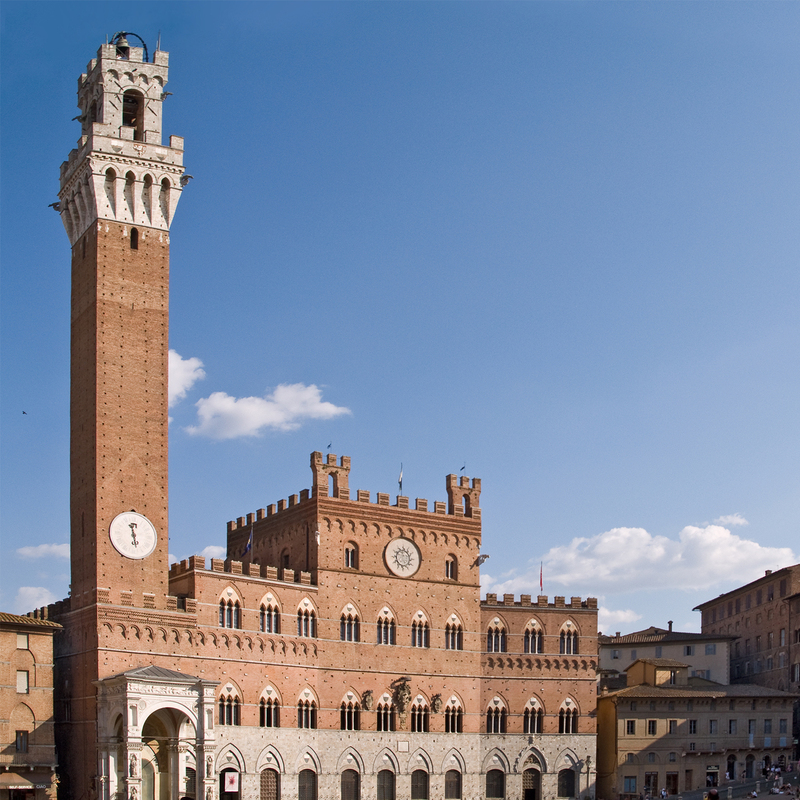 In 1995 the old city centre of Siena was included in the UNESCO World Heritage List. Located in the city is the head office of the Banca Monte dei Paschi di Siena, founded in 1472 and therefore the oldest bank in the world. Siena is situated in central Tuscany at the centre of a vast landscape of hills between the valleys of the Arbia River to the south, Merse river to the south-west and Elsa River to the north amid the hills of Chianti to the north-east, the Montagnola to the west and the Crete Senesi to the south-east. The city of Perugia is the chief town of the Umbria region. A city of art, rich in history and full of historic buildings, it was founded by the Etruscans and is the cultural hub of the region, tourist destination and university town. 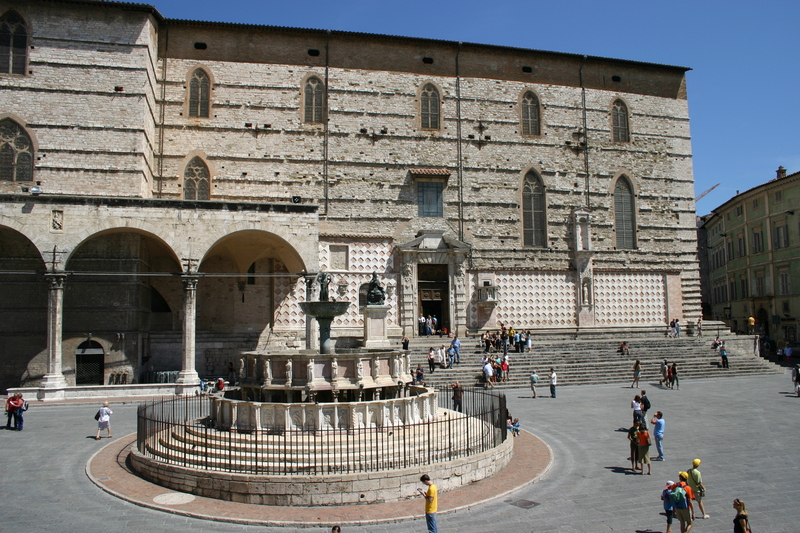 The old city centre of Perugia stands on an acropolis that stands at about 450 metres a.s.l. At the highest point, Porta Sole, the altitude is 494 m, which makes it the most populated Italian city at an altitude above 250 metres. The old city centre extends around this point and along the ridge of the surrounding hills, forming an acropolis and five medieval suburbs extending from five city gates. The original Etruscan city walls which extend for 3 km were joined in the 13th and 14th centuries by a new definitive 9 km long city wall, which is still almost completely intact and encloses an area of 120 hectares. The old historic city is therefore located mainly on the ridges, each quarter leads into a main street or avenue on which the labyrinth of alleys converges, dominated by convents, bell-towers, basilicas, churches, oratories, chapels, aristocratic palaces, lesser palaces and terrace houses of the alleys. On the north side, Mount Tezio and Mount Acuto separate it from the municipality of Umbertide, to the west a neck of land reaches the high ground that surrounds Lake Trasimeno, and to the east the first spurs of the Apennines between the Umbria and Marches regions separate it from the municipal areas of Assisi and Gubbio.